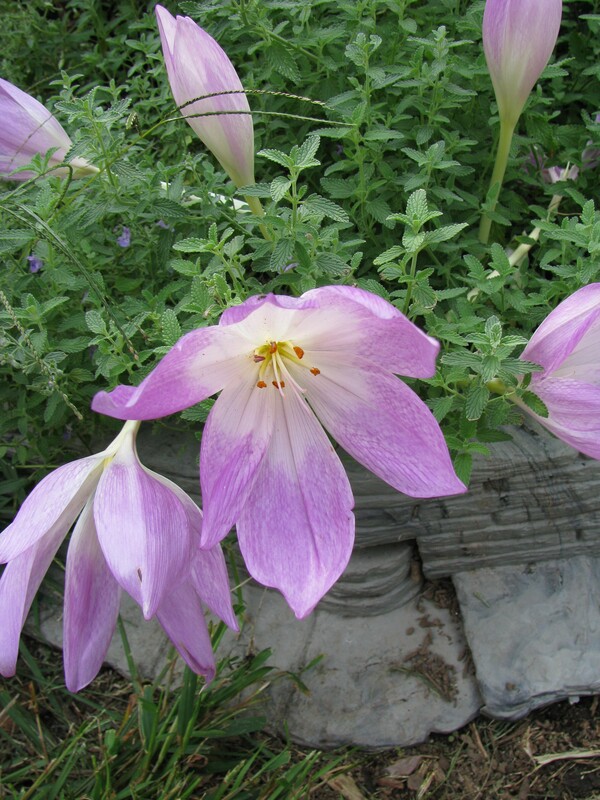 On Friday I talked about colchicums. I said that this is the only bulb I’ve ever planted that when it blooms folks literally stop and stare. It helps that I’ve located these bulbs near the road, in my rose garden, so that they are visible to passers by. It also helps that they come up in September or October, at a time when no one is expecting to see anything at all like delicate looking bulbs in the garden. But I assure you, these bulbs are anything but delicate! And to make matters even better, they are critter proof! In the 15 or so years that I’ve been growing them (I now have 5 different varieties in my garden) I have never had anything bother these bulbs. And I think when I started this bulb discussion I mentioned that I regularly garden with deer, squirrels, chipmunks, rabbits, and voles. So I pretty much run the gamut of bulb eating “critters.” If I tell you these bulbs are “critter proof”, they are! 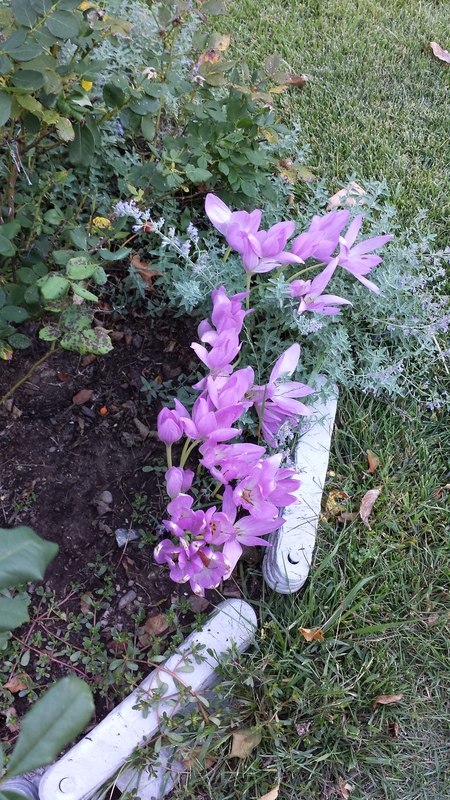 These photos are from prior years–I am not seeing my colchicums just yet. But we can’t talk about these beauties in a void. I know they’ll be back this year. I just don’t know how soon. Next Article Wordless Wednesday–What The Bees Want!